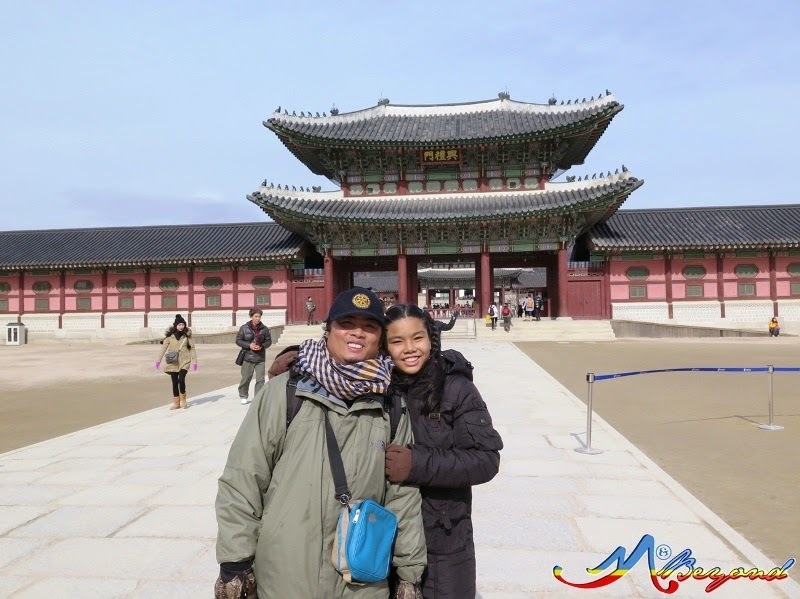 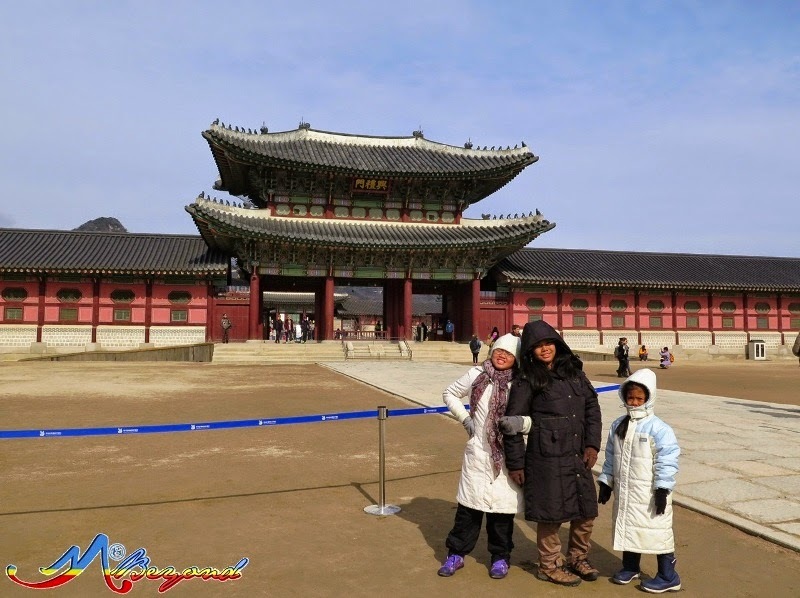 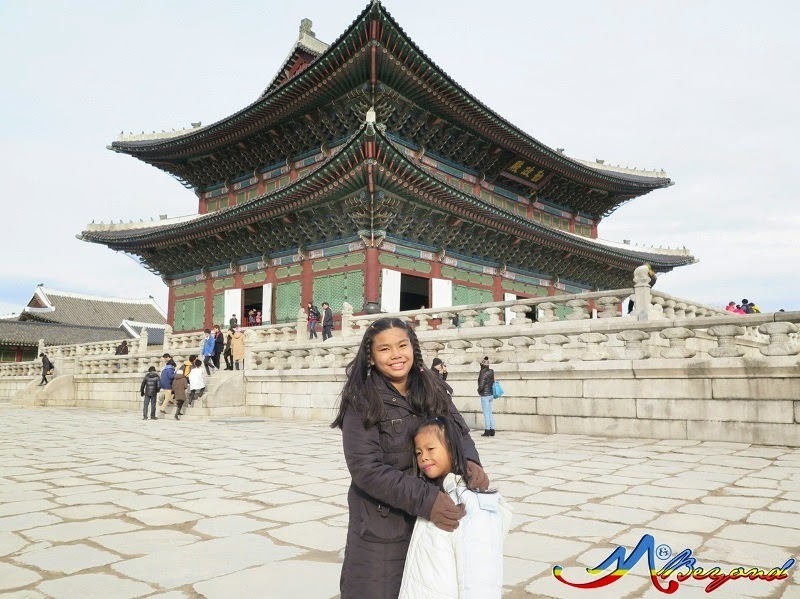 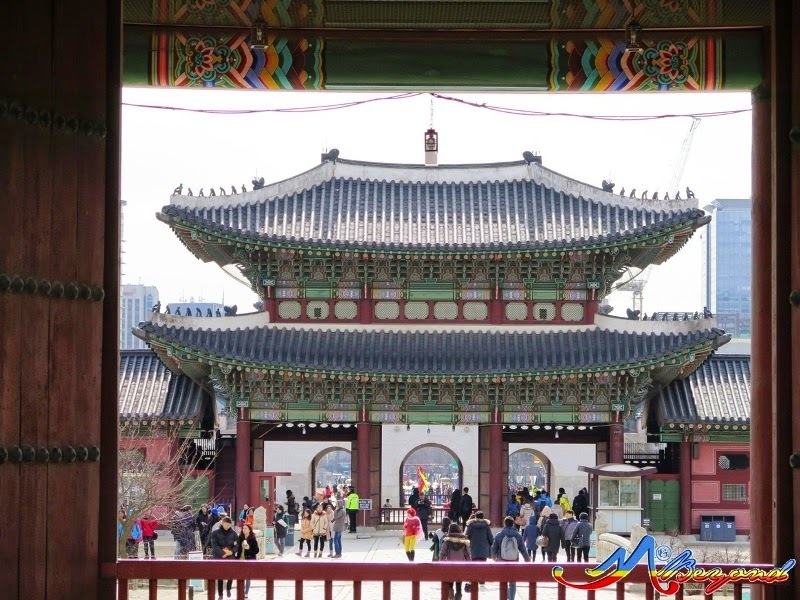 Gyeongbokgung Palace has six gates with Gwanghwamun as the main gate. 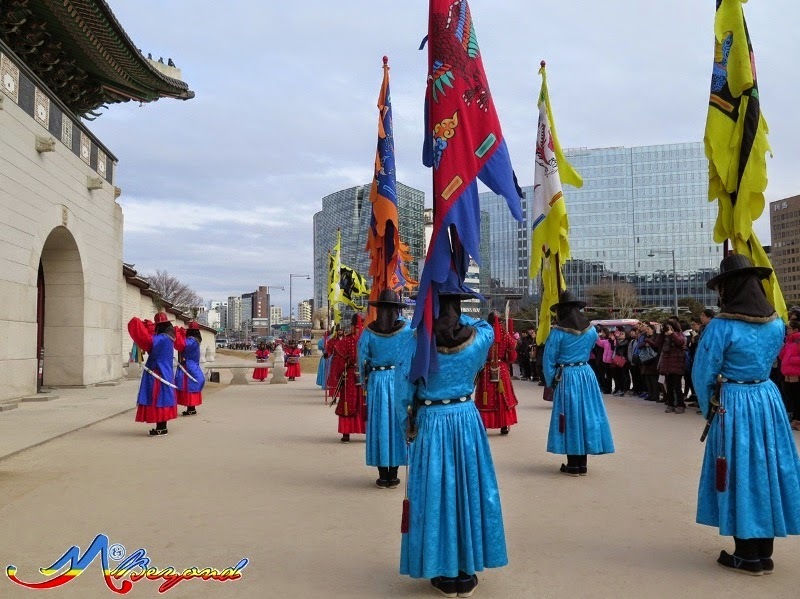 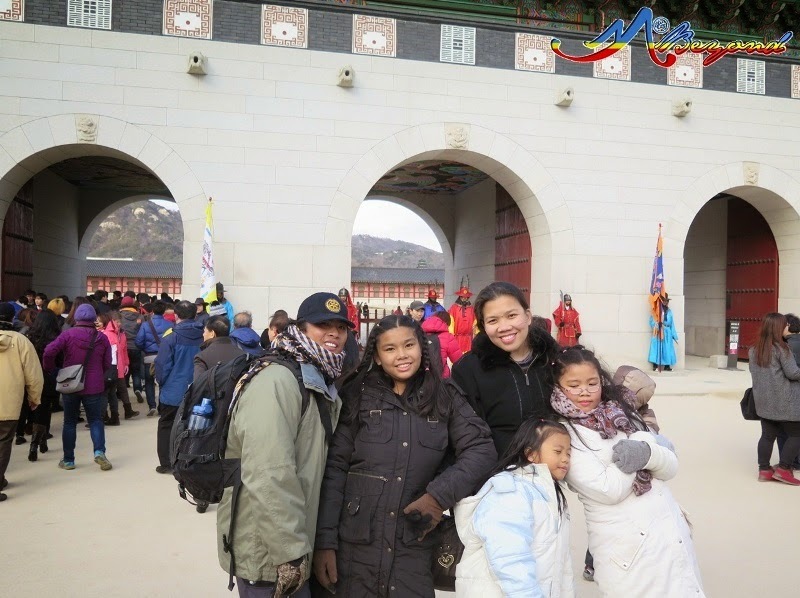 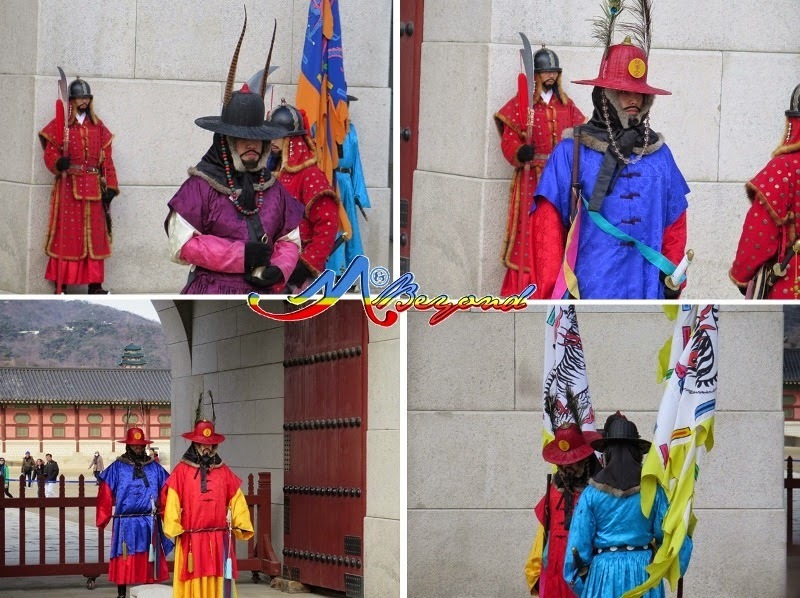 Since we came from the museum, we forewent the main gate and just entered the second inner gate called the Heungnyemun and into the third inner gate or Geunjeongmun Gate passing through Yeongjegyo Bridge. 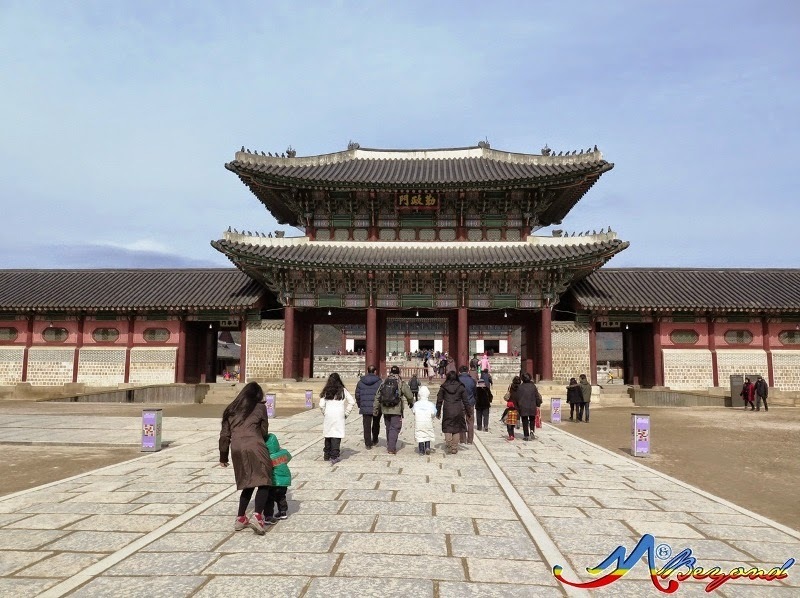 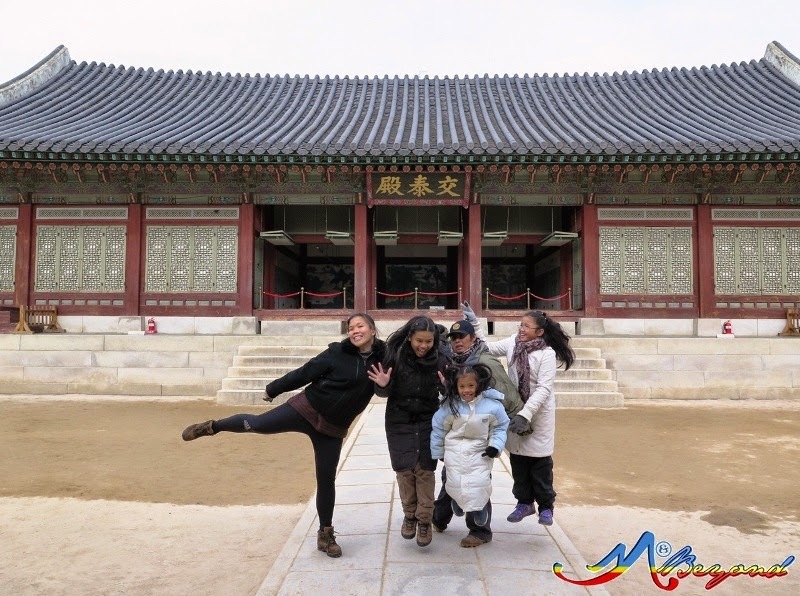 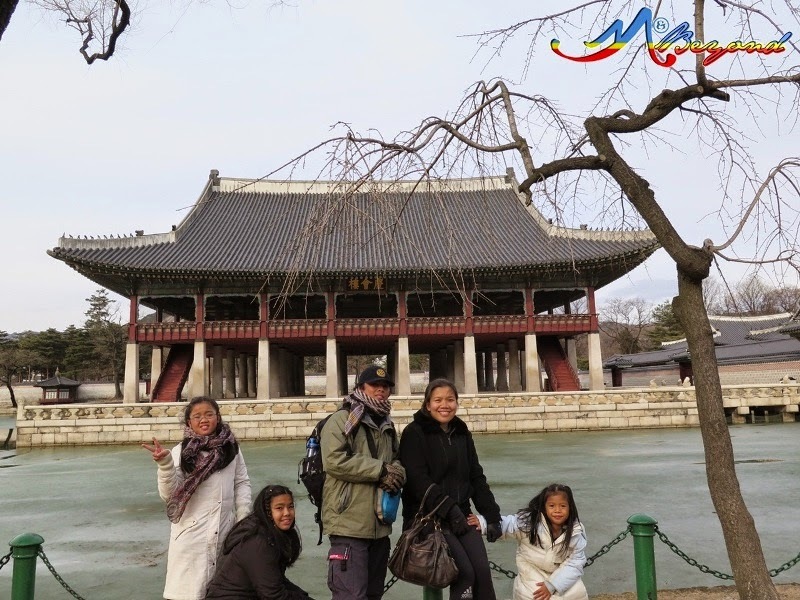 The first building we visited is the Geunjeongjeon Hall, throne hall where the king formally granted audiences to his officials, gave declarations of national importance, and greeted foreign envoys and ambassadors. 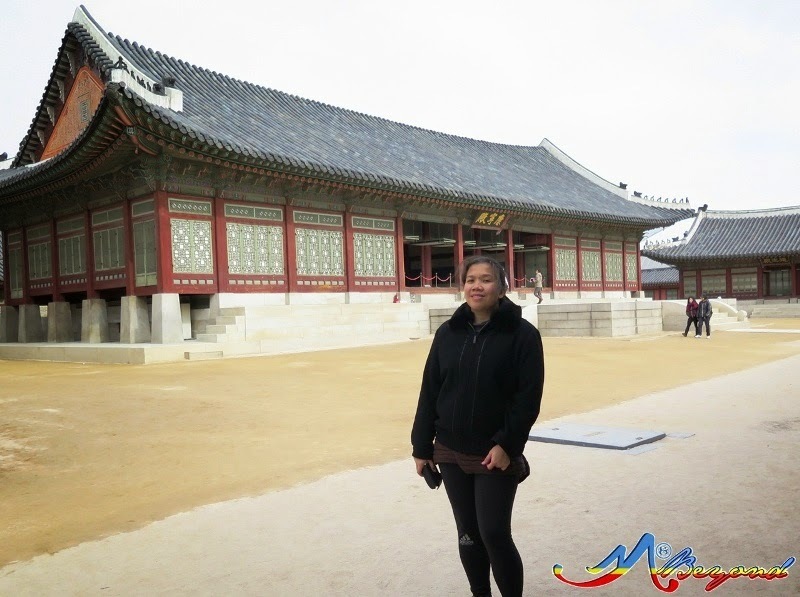 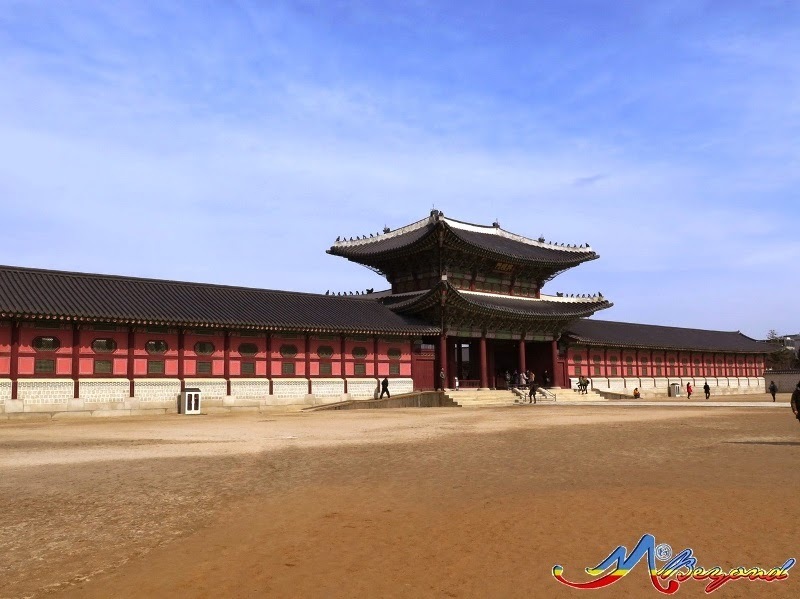 Then the king's main residing quarters called Gangnyeongjeon Hall. 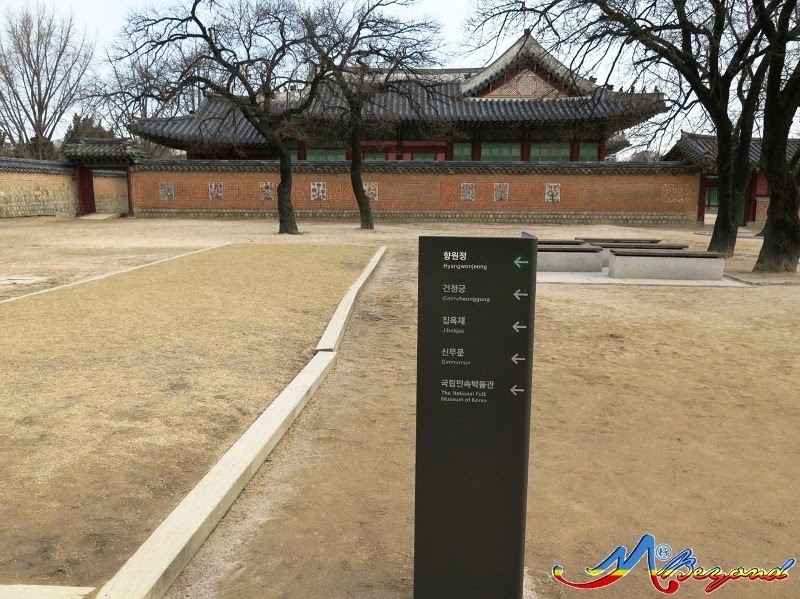 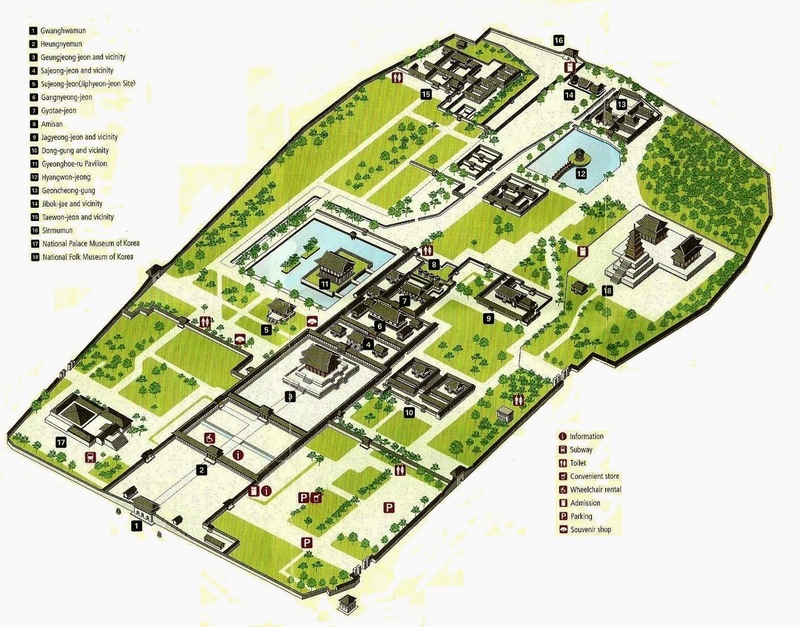 And the main residing quarters by the queen or Gyotaejeon Hall. 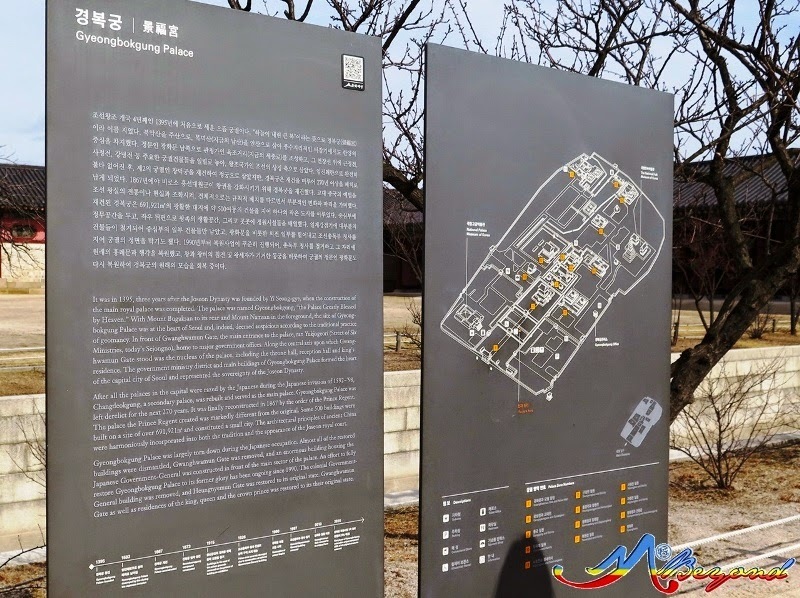 We also passed by Jagyeongjeon Hall, the main residing quarters of King’s mother. 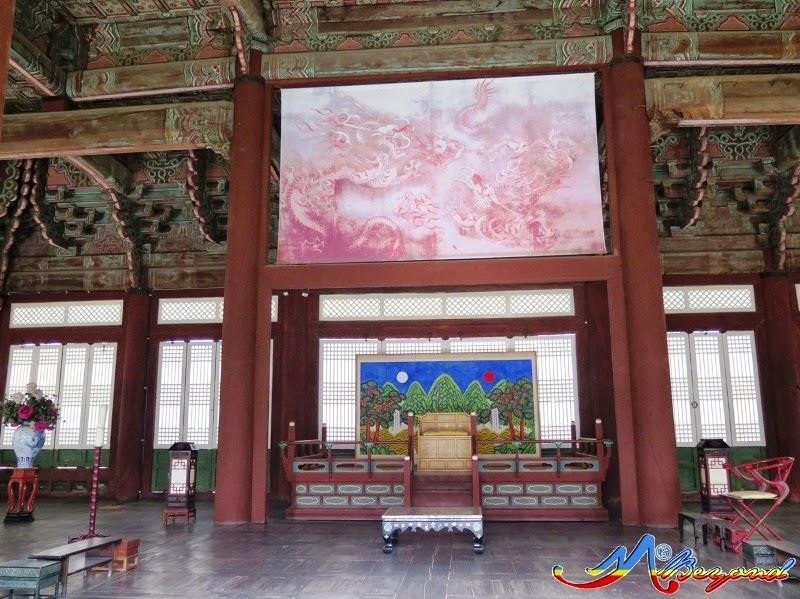 And finally the Gyeonghoeru Pavilion, used to hold important and special state banquets. 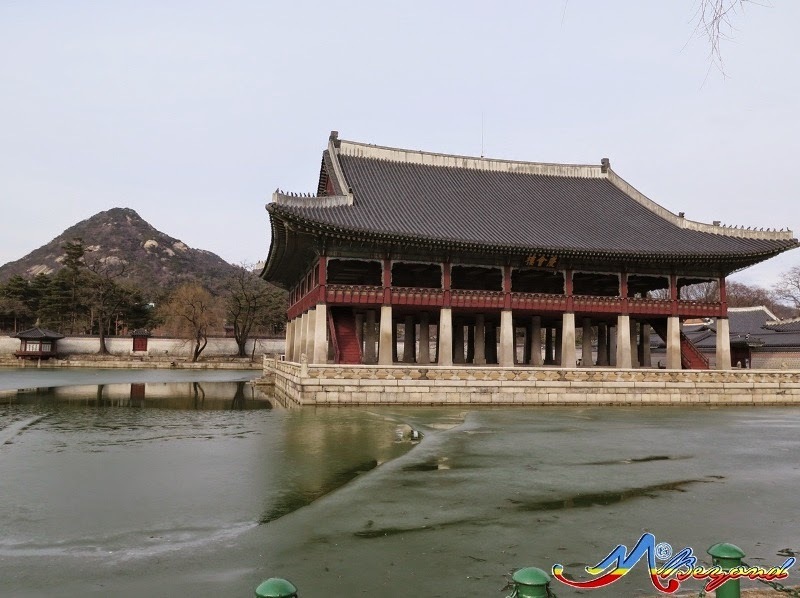 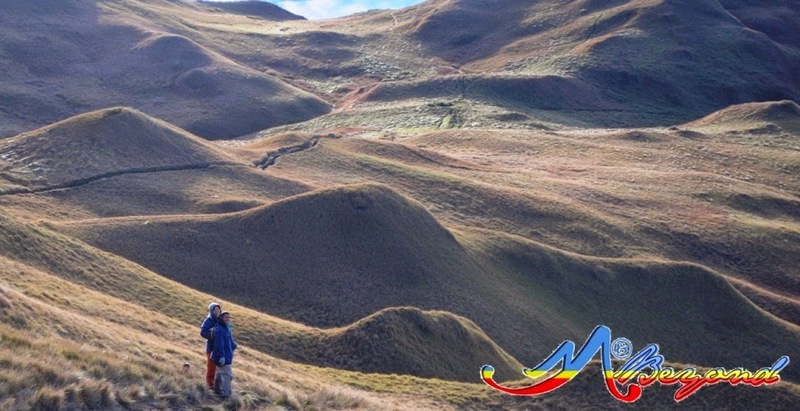 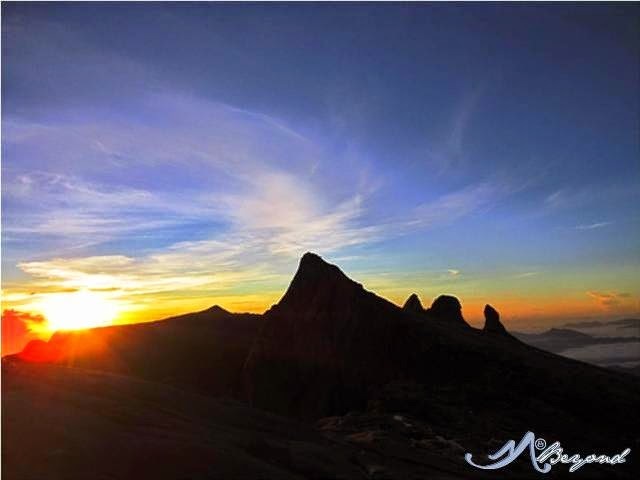 It is presently situated in an island of an artificial rectangular lake. 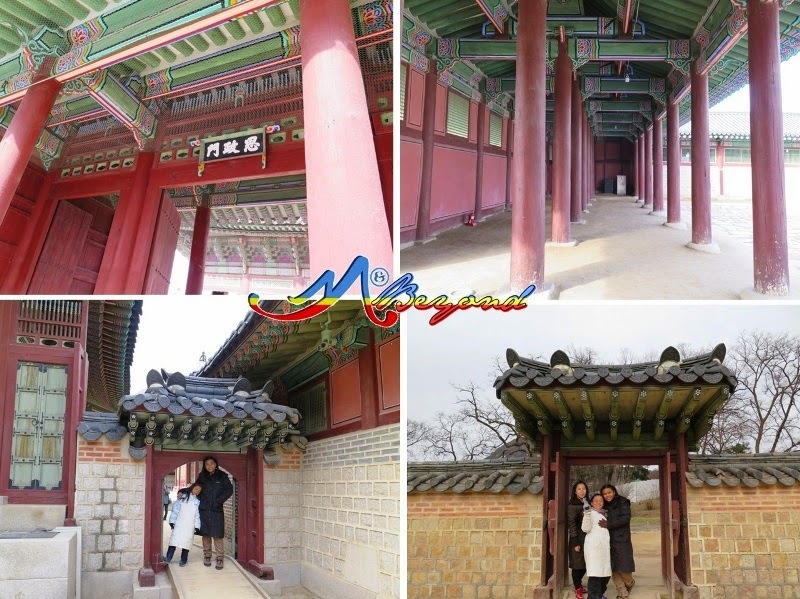 What is noticeably present in all of the structure is the adornment of floral designs – from the ceilings to walls and the intricate roof designs. 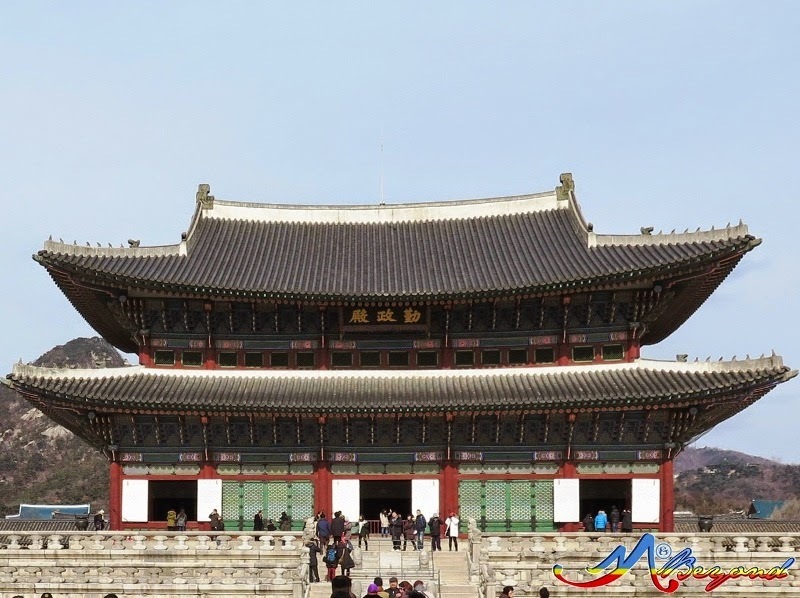 It showcased meticulous handworks that represents majesty and the authority of the throne.